40% Off Winter Sale : $149 Only! Certificates Issued at the End of the Class. HLTAID004 Provide an emergency first aid response in an education and care setting. We are 100% Australian owned and operate vocational education and training classes in the CBD in Phillip Canberra, and Hobart Tasmania, Sydney, Liverpool, Hornsby, Penrith, Wollongong, Parramatta & Newcastle NSW, Melbourne, Adelaide, Gold Coast, Brisbane, and Perth. * Services National Law and the Education and Care Services National Regulations (2011). 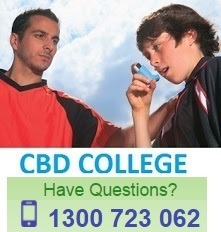 CBD College is the leading First Aid CPR training organisation in the Australia that offers Adult or Senior First Aid, BELS, CPR, and Child Care First Aid or Emergency First Aid course.